The special "Villa" was opened in 2013, it is 25 years since the hotel Moana Coast was opened. It's the villa completely persist "small scale but high quality" for adults. For instance…for a couple whose children were grown up and they have own time. 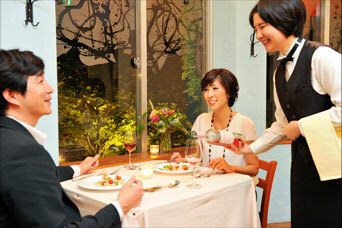 The hotel ― guests can spend relax time in the luxury room, and have a delicious Italian food in the restaurant. We prepare only 6 guest rooms, and only for adults. You will read books quietly and listen to the music by BOSE speaker in the room. In the evening, viewing the sun setting in the mountain will make you to forget your busy life. In the morning, the sunrise over Seto Inland Sea will give you energy. We hope that many kinds of groups(couples, women's groups, mothers and daughters…) stay "Villa Bel Tramonto" and satisfied with our facilities, foods, and service. ＊Sorry, children under 13 years old cannot stay in Villa Bel Tramonto. Villa Bel Tramonto is the located near the sea and mountain. You can enjoy sunset into the mountain because the Villa stand on the high position. 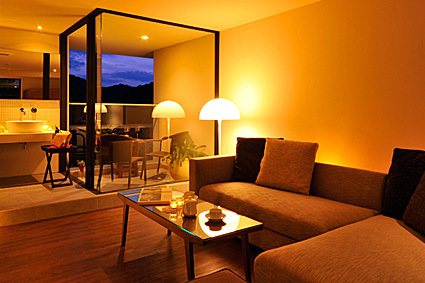 And, you are available to see Awaji Island and Seto Inland sea through the window on the east. Based on human science, we located the lights to make the guests relax in the room. Because of the good balanced soft lights, you can feel fallowing time and spend comfortable time.And all lights are adjustable. The furniture and floor are chic colors. 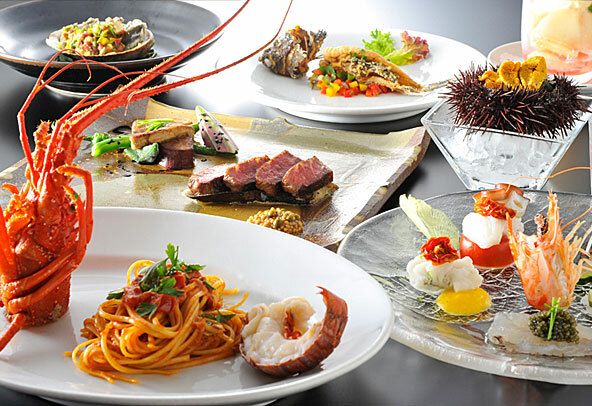 Our restaurant "fishbone" uses many local food in Tokushima. 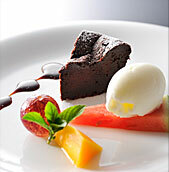 We prepare high quality dinner course for only guest of villa. And more, only the guest of villa can choose Japanese breakfast. Seafood Seto Inland Sea is like a treasure box of seafood. 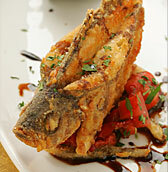 Sea breams, seaweed, oyster, cuttlefish and more. They are good for Italian food. Vegetables We often cook with vegetables grown in our field. Besides, there are many excellent farm products in Naruto, like sweet potatoes, lotus roots, shallots and more. Please enjoy having gifts of the earth. 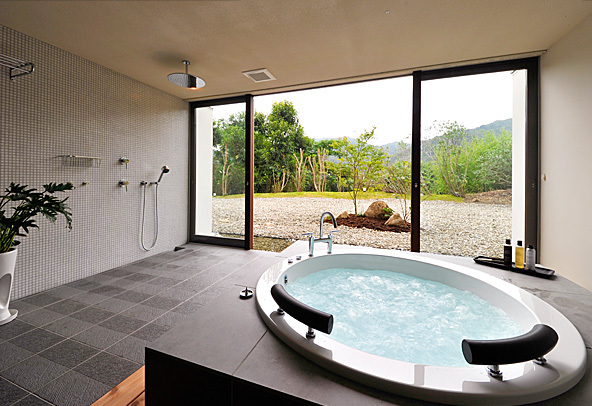 In the bath room, you are available to see the best of the sunset view while relaxing in Jacuzzi bath with massage function. 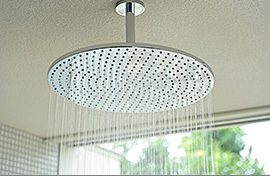 And the head shower is installed on the ceiling, you can enjoy the shower like rain. All beds, including extra beds are from "Simmons". We prepared bed pads of made Cranforest (the best of wool in England), pillow of feather (100%). Low and high residence pillows are prepared on the bed. 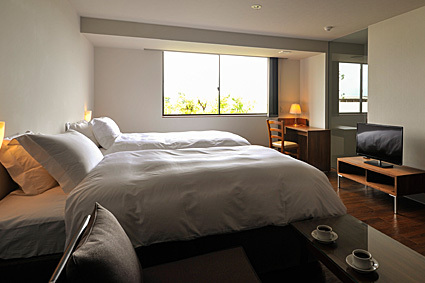 We promise you will have good sleeping with linen made of "Xinjang Cotton" (the best of cotton in the world). 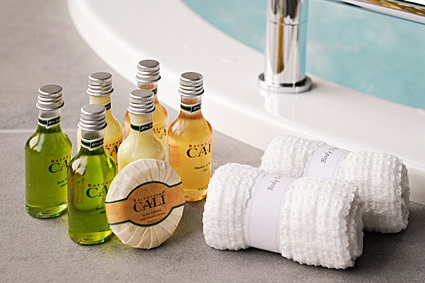 Shampoo and soap are from CALI (Natural skincare type) It's gentle on the skin and satisfied using on the top resort hotels and suite rooms all over the world. Toothbrushes, shavers, hairbrushes are equivalent quality to foreign hotels. And all rooms have a coffee machine. You can always enjoy coffee and tea easily. In the past, Naruto prospered as a town of salt, so there are many factories using technology of salt. And there is a grateful view of beach called "Ginsha", in Naruto and Awaji Island. Even now, you can see nostalgic scene because traditional ships goes from 3 places in the town.